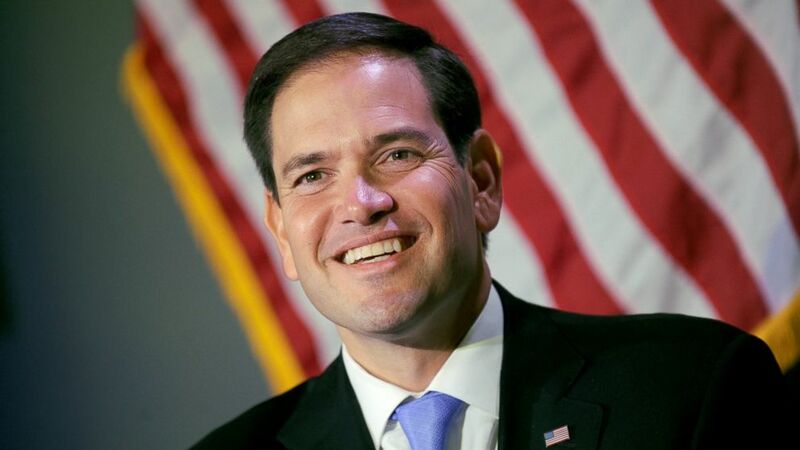 (TibetanReview.net, Mar27, 2018) – Republic Senator Marco Rubio of the United States has criticized Marriott Hotels as well as China for the firing of an American employee who had accidently “liked” a tweet about Tibet being an independent country. He tweeted that the worker was fired after pressure from China’s Communist government, reported washingtonexaminer.com Mar 25. The report said the fired employee was Roy Jones, a Marriott customer care manager in Omaha, Nebraska. 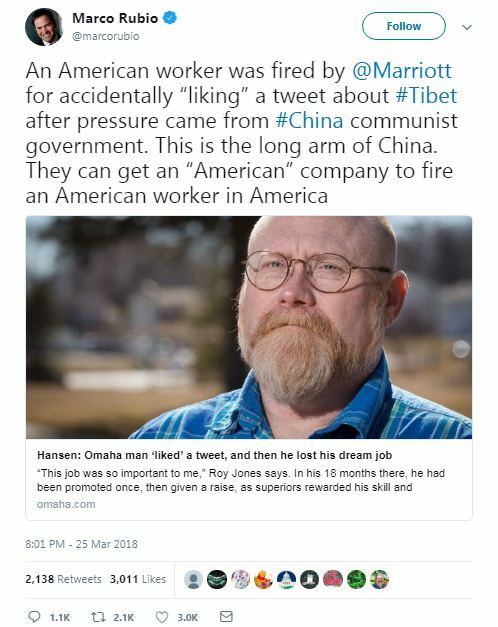 While being logged into Marriot’s official Twitter account, Jones had accidentally “liked” a pro-Tibetan tweet,which thanked Marriott for listing Tibet as its own country and not part of China in a promotional survey. Jones was cited as having told Omaha World-Herald newspaper that the “like” was a complete accident. China’s anger at the Marriott Hotels market survey questionnaire and the “like” led to Beijing suspending all online booking for a week at the hotel chain’s nearly 300 Chinese hotels. Marriott promptly apologized, removed the survey questionnaire, and fired Jones. Jones has said he got zero training on how to handle issues with the Chinese government, including the decades-long claim by China that Tibet, annexed by it through armed invasion in the 1950s,has always been part of the country.